Tim Eichenberg’s career in public service began when he was elected Bernalillo County Treasurer. After serving two terms as Bernalillo County Treasurer, Eichenberg went to work in the private sector. He operated a small business in Albuquerque as a Property Tax Consultant, Real Estate Broker, State Certified Appraiser, and General Contractor. He was elected to the New Mexico State Senate in 2008. As a State Senator, Eichenberg served on the Public Affairs and Judiciary committees, and was Chair of the Restructuring Committee. In 2010, Eichenberg carried the Governmental Conduct Act, establishing a code of ethics for all government employees. In 2012, Eichenberg served as Chair of the Revenue Stabilization and Tax Policy Committee. 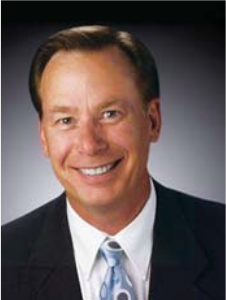 On January 1, 2015, Eichenberg became the 29th State Treasurer of New Mexico. Raised in Albuquerque, NM, he attended Albuquerque Public Schools and graduated from the University of New Mexico.